Facebook co-founder Mark Zuckerberg sat down with about 15 conservative Republican leaders Wednesday at company headquarters in Menlo Park, California. 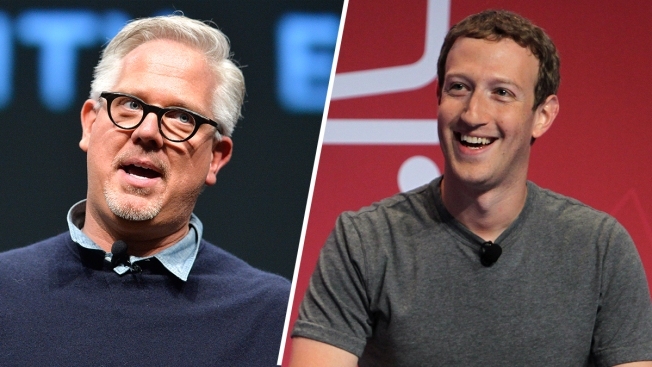 The meeting came amid allegations by technology blog Gizmodo that the social media site censored right-wing stories, which Zuckerberg hoped to ameliorate at the discussions with Glenn Beck and others. The meeting was closed to the media. "I know many conservatives don't trust that our platform surfaces content without a political bias. I wanted to hear their concerns personally and have an open conversation about how we can build trust. I want to do everything I can to make sure our teams uphold the integrity of our products," Zuckerberg wrote in a post after the meeting. He had denied that the censorship took place. Rob Bluey, editor in chief of the website The Daily Signal, told Fox News that Facebook acknowledged it has a "problem" reaching conservatives after the meeting attended. A Facebook spokesman said the company offered training on how the conservatives could better utilized it social media, and a "deep dive" on how to use "Trending Topics." The guests were also offered a demo of Facebook's virtual reality technology. Guests included Beck, a conservative TV and radio host; Barry Bennett, former adviser to Ben Carson and current adviser to Donald Trump; Zac Moffatt, former digital director to Mitt Romney and co-founder of Targeted Victory; Arthur Brooks, president of the American Enterprise Institute; Jim DeMint, president of the Heritage Foundation; and Dana Perino, who hosts "The Five" on Fox News, Mary Katharine Ham, Jenny Beth Martin, Jonathan Garthwaite, SE Cupp, Tucker Carlson, Kristen Soltis Anderson, Rob Bluey, Brent and David Bozell, and Alex Skatell, a Facebook spokesman told NBC Bay Area on Wednesday. Cupp, a conservative columnist for the New York Daily News, said in a Facebook post late Wednesday that the meeting was "very productive" and that she received "strong commitments to address issues, as well as to work together on common goals." A Silicon Valley journalism professor thought it was a smart move to have the meeting. "They recognize that Democrats, Republicans, everybody uses Facebook, and they don't want to alienate a chunk of the audience," said San Jose State University's Richard Craig, who oversees the student newspaper. South Bay Republican Lindsey Wendt agreed. She uses Facebook to get news. "Yeah, definitely," she said. "It's such a crucial outlet for news and how a lot of people get current things. It's really important to be fair." After political focus was placed on Facebook’s trending topics, Democrats hit back at Republicans and implied that their attention was misplaced. "The Republican Senate refuses to hold hearings on [Supreme Court nominee] Judge [Merrick] Garland, refuses to fund the president's request for Zika aid and takes the most days off of any Senate since 1956, but thinks Facebook hearings are a matter of urgent national interest," Jentleson said. "The taxpayers who pay Republican senators' salaries probably want their money back."